Appliances Repairs in and Around the Toney Alabama area to include Sears Repair, Maytag Repair, GE Repair and All Other Major Brands. Appliance Masters Repair Service brings an affordable appliance repair service to Toney Alabama and surrounding areas. We offer refrigerator repairs, range repairs, oven repairs, freezer repairs, dishwasher repairs, washer repairs, dryer repairs, microwave oven repairs, garbage disposal repairs and all other appliance repairs. Appliance Masters is here to offer an affordable appliance repair service to Toney Alabama. We know that our success depends on our return customers so we treat each one of them as if they were our own family. We appreciate the return business and we always try to show it in the appliance repair work that we deliver. Our hours of operation are from 9am to 9pm 7 days per week so we are open every day for all of your appliance repair needs. 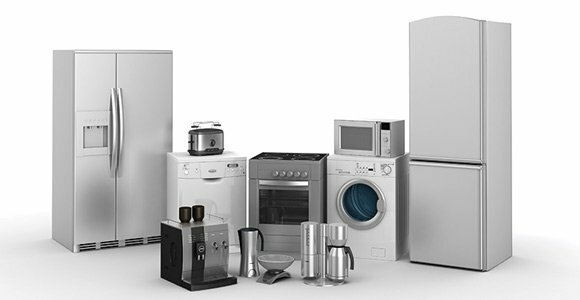 We offer an affordable appliance repair service call fee which is only $60.00. Along with affordability we also bring a quality service to the table. Our technicians have years of experience to go along with their ongoing education to keep up with the latest appliance repair technology. We service all brands of appliances and work on all appliances. That is to include dryers, washers, refrigerators, freezers, garbage disposals, microwave ovens, dishwashers, ranges, range hoods and ovens. 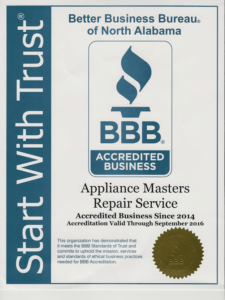 Our technicians are trained to treat our customers with the up most respect, act in an ethical manner, to make sure the job is done correctly the first time, to give people the most affordable appliance repair service that is possible and to truly listen to our customers’ needs and concerns.